A panel of the International Telecommunication Union - which these days feels responsible for defining time, something astronomers used to do - has postponed a decision to abandon the leap second for another three years as no clear majority was evident: see reports here, here, here, here, here, here, here and hier for further details, context and opinons as well as a nice Al Jazeera news clip and reports before the non-decision here, here, here and here. Perhaps the 3 years gained will now be used for an open debate involving society (and astronomers, please!) as a whole? How the differing opinions of the ITU members came to be is hard to fathom; in the U.S. the State Department was in charge, for example, and in Germany the Bundesnetzagentur. Who asked whom for input prior to the 2012 gathering is also difficult to access, e.g. the members of the American Astronomical Society were not asked for their opinion while the IAU somehow felt it had the authority to support abandoning the leap second (according to documents this blog obtained; sorry, no links). Anyway, it didn't happen, and Earth rotation and Universal Time Coordinated remain linked for the time being, with the next leap second due this June 30 anyway. The biggest news elsewhere in the Universe is a 13 mag. supernova in NGC 3239 in Leo, SN 2012A, which is also discussed here, here, here and here. • The Catalina Real-Time Transient Survey is making headlines with its many discoveries of variable things in the sky; also more insights about and one amateur's light curve of Epsilon Aurigae's last eclipse. • On the Sun an M flare that may have terrestrial FX tomorrow (or perhaps not so much), a Jan. 2 prominence movie and magnetic measurements. • Jupiter on Jan. 15 (more), Jan. 4 (movie! ), Jan. 2 (with moons & Moon) and in Nov. 2011 and Mars on Jan. 16, Jan. 15 (more), Jan. 11, Jan. 9, earlier and still earlier, plus a cool 'trailer' for the Transit of Venus. 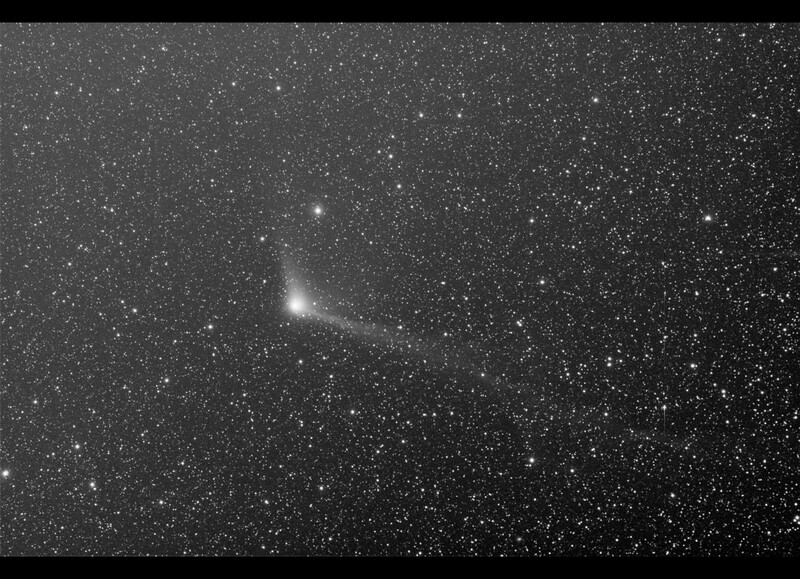 Comet Lovejoy is still around but the tail of the - formerly 'great' - comet has faded extremely: pictures of Jan. 20, Jan. 19, Jan. 18, Jan. 18+16, Jan. 16, Jan. 15 (with a 43° tail), Jan. 14 (stark processing; at LMC; dito), Jan. 13 (over the LMC), Jan. 12 (dito), Jan. 7, Jan. 6 (dito), Jan. 5 (dito, dito), Jan. 4, Jan. 3 (dito, dito), Jan. 2 (dito, dito), Dec. 31, Dec. 29 and Dec. 28 (the latter two from the ISS), a movie covering 6 days, picture collections here, here, here, here, here, here and here, a visual report from Jan. 2, coverage of Jan. 3 (dito, dito) and early speculations (related video - and a counterview). • Also the July 2011 case of comet observed being destroyed in the sun has been analyzed: press releases here and here, corollary thoughts and coverage here, here and here. In other news the Quadrantids 2012 didn't perform that well (with a maximum ZHR of only ~80) but were nice for photographers: composite images here, here, here and here, a comparision DSLR vs. video, a video clip and picture collections here, here and here. • How to photograph the ISS crossing the Moon (more) and utter BS about the X-mas Soyuz stage reentry - sigh ... • A call for amateur radio observations (of meteors in Earth's atmosphere) in support of the LADEE mission to the Moon. • And finally another astrophotography contest and a new astrophotography blog - featuring many pictures taken from Bonn, Germany. High contrast & vivid colors despite the urban location of the 50-cm telescope employed!